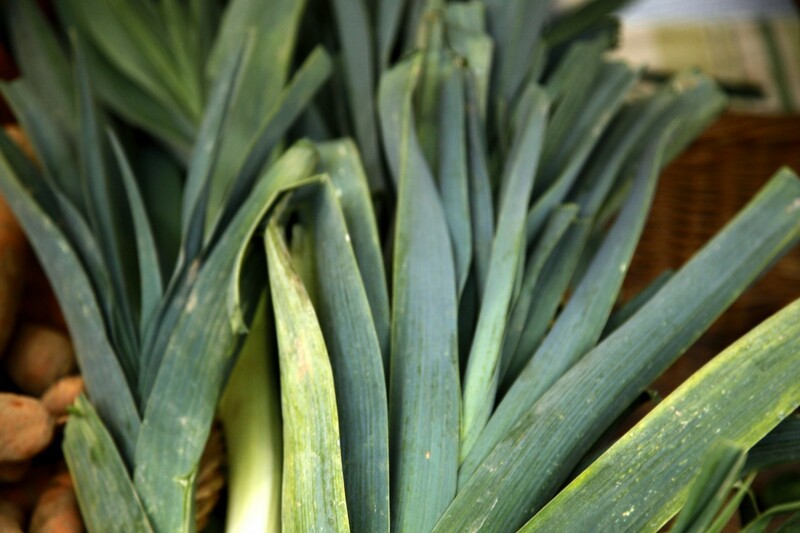 I think leeks often get the short end of the winter produce stick. People are too focused on other, more trendy items – butternut squash and kale, I’m looking at you – but leeks are one of those staple vegetables that can do much more than you might think. Don’t want to use the tops because they seem too woody? Pop them in a pot with water and boil them down into a soup. 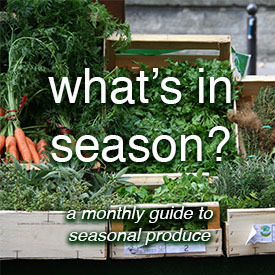 Bored of leeks in a soup? Cook them down and make a savory spread, perfect with goat cheese. 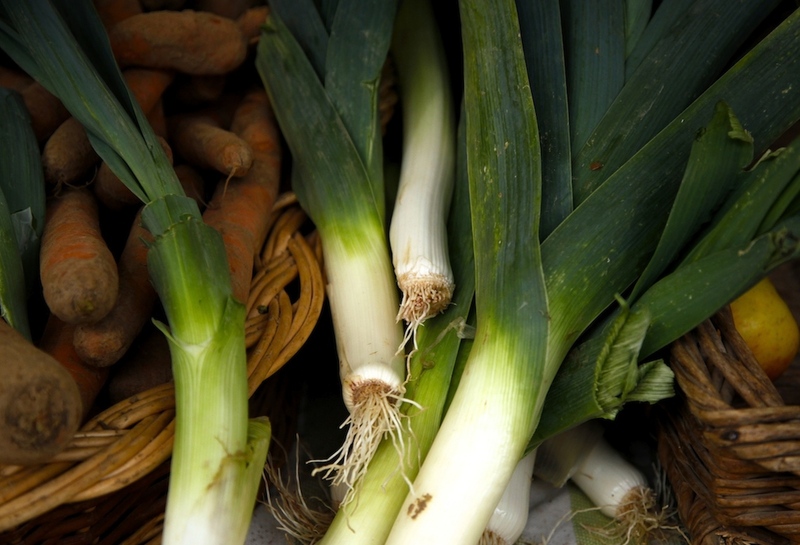 Leeks are an inexpensive vegetable option that make a winter meal much more fun, and certainly deserve consideration for inclusion in more of them in your winter cooking. Another wonderful use for leeks? In a savory tart. 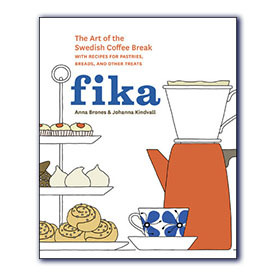 I don’t have very many cookbooks in my kitchen, but the ones I do, I use regularly. They sit on a shelf above the kitchen counter, which means easy to reference whenever I need them. Sometimes it’s just for inspiration, sometimes it’s because I can’t be bothered to come up with something of my own and I need someone else to tell me what to do and how to do it. 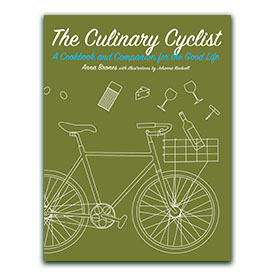 One of those books is Clotilde Dusoulier’s French Market Cookbook. You may know Clotilde from her blog Chocolate and Zucchini. 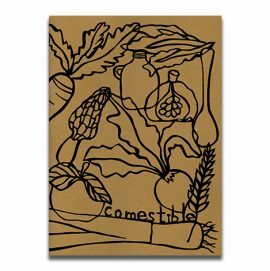 I love this book because it’s focused on seasonal ingredients, and you can be sure that if you went to the market and picked up some things that you have zero inspiration for, there’s a recipe in this book that will help. 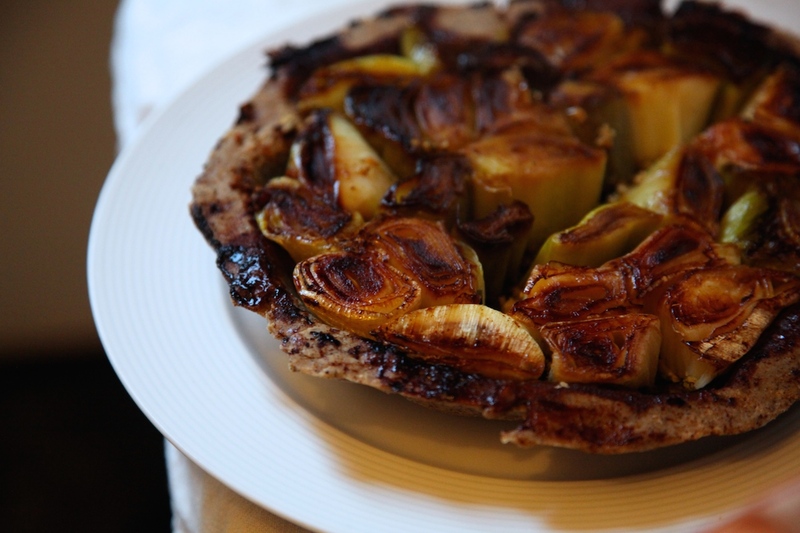 Which is how I came to fall in love with Leek Tarte Tatin. Tarte Tatin is of course the quintessential French dessert dish, a sort of upside down baked apple tart. 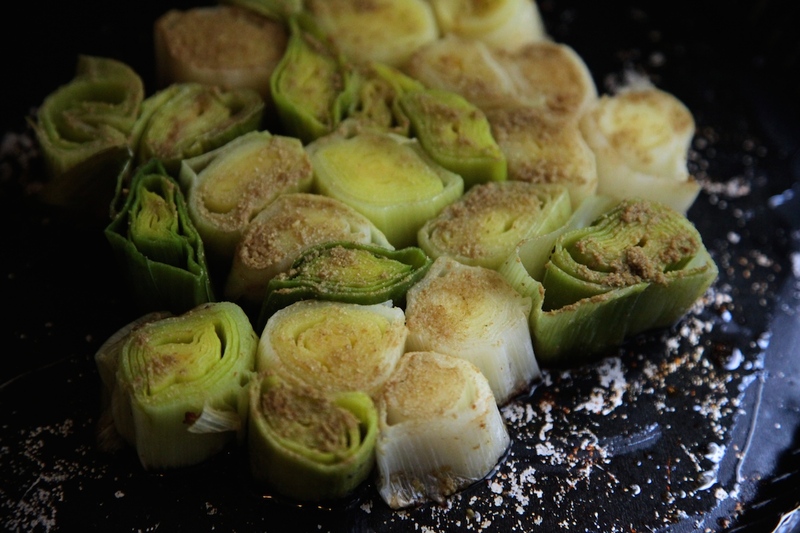 Clotilde took a savory spin on it using leeks, and it has become a winter staple for me. I’ve changed the recipe a little, adding s buckwheat olive oil pastry crust. This is a pastry crust you can use for other things too, including sweet dishes. Slice up some apples and make an apple galette for example. Opt for light buckwheat flour if you can (which is lighter because the hull is left off during milling). In all honesty, I rarely have all the leeks that are required in this recipe. This is usually because I buy a lot of leeks, intending to make it, and then somehow they magically make their way into other recipes before I get around to making it. Well, what do we do when we don’t have all the precise ingredients in the kitchen? We adapt. The recipe works perfectly well with only two leeks, you just get a slightly smaller tart, and potentially some leftover pastry dough, which just mean you can make a tart for dessert while you’re at it. For the base, I use a vegan pesto, mostly because I always have one on hand. But it’s also good with goat cheese (which is what Clotilde has in her original recipe) or anything that would make for a creamy base. Prepare the dough, by mixing together the buckwheat flour and olive oil until you get a coarse meal. Add in the water one tablespoon at a time until you can work the dough into a ball. Cover and chill while you prepare the leeks. Slice the leeks into 3/4-inch (2 centimeter) lengths. In a skillet, heat the olive oil over medium heat. Add the leeks and sprinkle with salt and cumin powder, cover, reduce to medium-low heat and cook for about 10 minutes, until the leeks are nice and soft. Check to see that the leeks don’t brown too much underneath. Remove from heat and let cool. 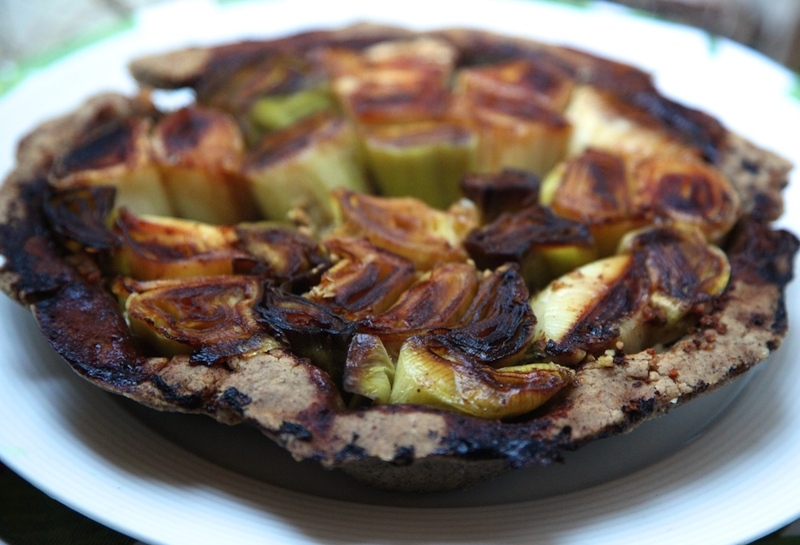 Grease a 10-inch (25 centimeter) tart pan with olive oil, and place the leeks carefully into it. Make sure the leeks are tightly packed together. Spread the pesto (or whatever creamy base you are using) on top of them. Roll out the pastry dough on the countertop into a 12-inch round. Carefully flip the round of dough onto the top of the leeks and then tuck the dough into the sides around the leeks. When I do this with fewer leeks and they don’t go all the way to the edge of the pan, I just push down to give the dough a little “lip” and then cut the excess off. Pierce a few holes in the dough with a fork to allow steam out while baking. Bake for 30 to 40 minutes, until a deep golden brown (this will depend on how dark your buckwheat flour is). Remove from the oven and let cool for a few minutes. Run a knife or spatula under the crust to loosen it, then carefully place a plate on top of the tart. Carefully turn the pan over (wear oven mitts if it’s still too hot to touch) to invert the tart on the plate. So pleased to see you’ve adopted that recipe (and the book! ), Anna. I’m making a note of your buckwheat crust, and will give it a try soon!